America’s War. Next Stop Iran: Who Will Save Us? One of the most awe inspiring photographs ever taken was by a machine, not a person. The ‘Pale Blue Dot’ is the name of the photograph.It is an image of the Earth taken in 1990 by the Voyager spacecraft, some six billion kilometers away from our planet as the craft was about to leave the Solar System. The Earth appears as a miniscule dot, almost lost in the vastness of space. To see the magnificent fragility of Earth hanging in a mind boggling expanse of blackness is as wondrous as it is humbling. The late astrophysicist Carl Sagan commented on the ‘Pale Blue Dot’ by saying that from out there in space, there is no inkling, no clue whatsoever, that there is life here. 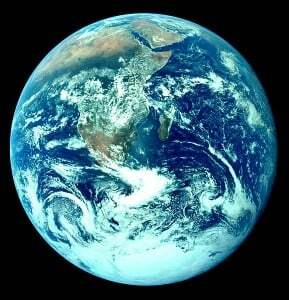 There is no hint of humankind’s squabbles, posturings, religions, civilizations or doctrines. There is no possible comprehension of the intensity or magnitude of human joys and wonder, prejudices and sufferings. Beneath Earth’s colourful blue mask from space, lies a sorry tale. It’s a tale about the hundreds of millions of deaths due to pointless wars and conflicts that have taken place down the ages. We have had little compulsion in destroying living creatures in their droves and gorging on and depleting finite natural resources. And we destroyed in a blink of an eyelid what took the Earth millions of years to nurture. Sagan once asked us to consider how much blood has been spilled by generals and emperors just to become temporary masters of one part of this small blue dot and how much cruelty has been visited time and time again by one set of the planet’s inhabitants on a barely indistinguishable other set of inhabitants. Sagan is not alone. During our more self reflective moments, each of us may care to chew over such sentiments ourselves. But how easy those sentiments fall prey to hate, fear and anger and how easy we turn to killing and violence. As we watch the possible build up to a US-led war with Iran and bear witness to the wail of propaganda and the deception of peace through the barrel of a gun, the world is told that Iran threatens global stability. Due to what is becoming an incessant pro war media onslaught, an increasing number of US citizens now favour a military attack on Iran’s nuclear installations, despite no credible evidence that indicates Iran is actually developing nuclear weapons at all. What twisted logic. What arrogance. In the case outlined, any ‘terror’ would be instigated by the said Israeli attack itself on Iran. That was conveniently brushed aside. And for ‘the world’ read only the US and its client states. And by what sort of garbled reasoning is Iran a threat to the US, the most militarily powerful country the world has ever seen – notwithstanding the fact that the US has military bases encircling Iran in neighbouring countries. Yet, the US media, like it did over Iraq, is convincing large sections of the public that Iran, on the opposite side of the world, is a direct threat to the US. Israeli Prime Minister Benjamin Netanyahu says Iran is destabilising the world and its aggression must be stopped. 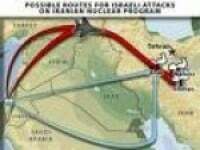 No mention from Israel of the assassinations of nuclear scientists in Iran. No mention of cyber attacks on Iran, the funding of anti-government militias inside Iran or other destabilisation strategies waged against Tehran by the US, Mossad, the CIA or MI6. China’s ambassador to the UN has already warned Yukiya Amano not to create “unfounded” evidence to justify a military attack on Iran in the name of halting its nuclear programme. Having had its influence curtailed in Libya, a top Chinese government official has already warned that any threat to Pakistan would be taken as a direct threat to China, according to the JunshiJia website, which some months ago cited a report by China’s Central TV. The report also stated that as the US war in Afghanistan deepens and the threat of military action against Iran becomes stronger, the threat of confrontation with China increases. As the West contemplates another dose of murder and mayhem, surely the lies in the build up to the invasion of Iraq are too fresh in the mind for the Western public to be fooled once again. By now they should have seen through the ongoing US-led deception of perpetual war for perpetual peace. Ultimately, there’s no peace to be found in Armageddon. Let’s hope so because, in all our obscurity and isolation on this insignificant blue dot, there is no hint that help will come from elsewhere. We must act to save us from ourselves.